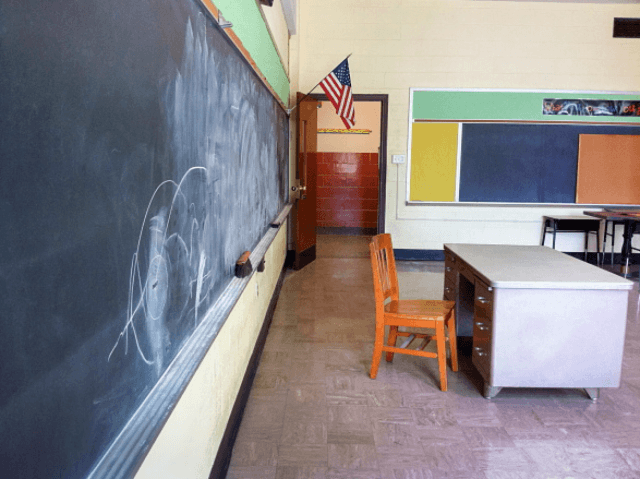 The unprecedented number of resignations in the Harrisburg School District prompted some teachers with the Harrisburg Education Association (HEA) to ask the school board Monday for more support in dealing with unruly students, WPMT reports. The HEA claimed that students’ unruly behavior caused at least 45 teachers to resign between July and October, and members of the teachers’ union say that more resignations have taken place since then. “Teachers and students are being hit, kicked, slapped, scratched, cussed at … and observing other students flip over tables, desks, and chairs. Teachers have had to take the rest of their class into the hallway to protect them during these outbursts,” HEA President Jody Barksdale told the Patriot-News. First-grade teacher Amanda Sheaffer, who has worked for the school district for four years, claims she has witnessed students’ bad behavior personally. Harrisburg School District Superintendent Sybil Knight-Burney says that while administrators would work with teachers on the issue, the solution to the problem comes down to parent involvement. “Once we meet and find out that there are needs that we need to have serviced, that means it’s going to take parent involvement to make that happen,” said Knight-Burney. The HEA says the complaints come from three to four different schools in the district but would not specify the schools involved.